I mean, c’mon, y’all. 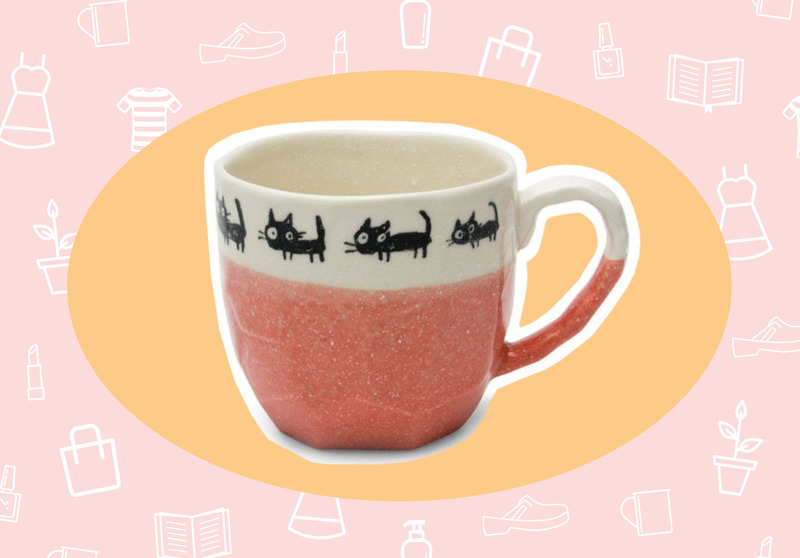 It doesn’t get much cuter than this darling “cat walk” mug. Look at those hand-drawn lil’ kitties! Cue the awwws. This mug will make your tea or coffee experience so much sweeter. 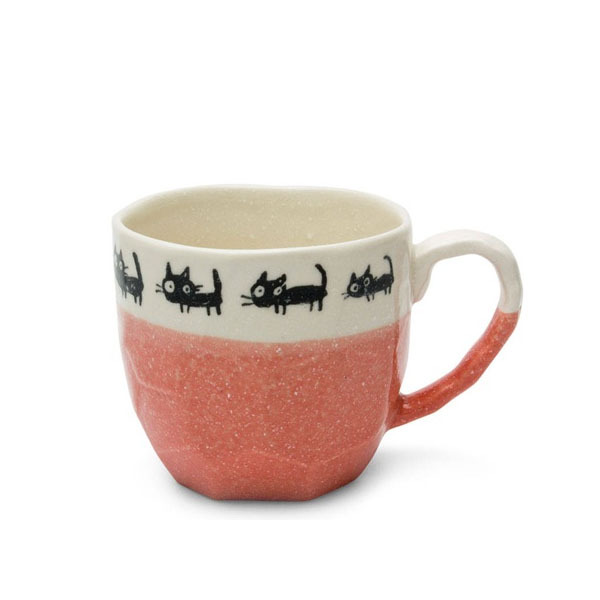 I want to drink rose tea out of this mug right MEOW. I’m one of those “almost hostesses.” I almost have it in me, but I just need a bit of a nudge. What I really love is all the trappings of hosting— fancy napkins, cheese plates, place cards. That’s why I’m very into Mostess. They make curated hostess gift boxes, which you can either get as a membership (one each season), or a single-purchase box. The Fall Box pictured above is sold out, but the Winter Box is available now. But you can see from the Fall Hearth Box that each one is brimming with full-sized (!!) goodies galore. 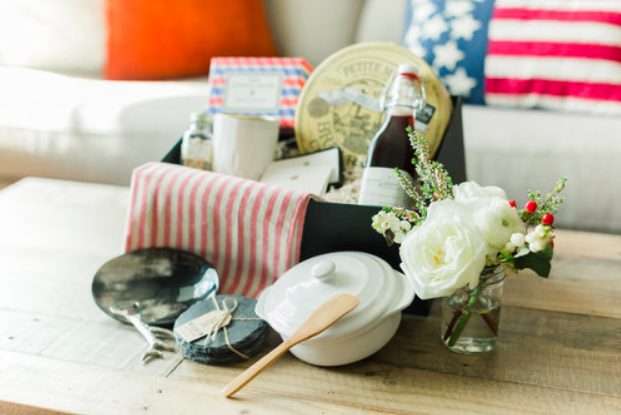 What I love about Mostess is that these items are meant to either improve your hostess game OR your guest game. You can either use these for your next shindig, or you can save some to have on hand as gifts to give to another hostess. I love having a box of go-to gifts for last minute pinches. So even if one of the items you wouldn’t use yourself, you’re guaranteed to have a friend who totally would. That’s why this is hands-down one of the best curated boxes I’ve ever tried. 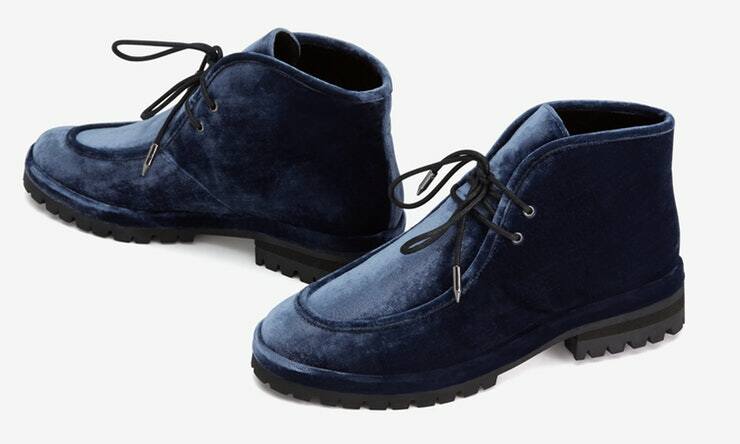 These blue suede shoes are maybe the best example of “statement boots” that still look utterly comfy. 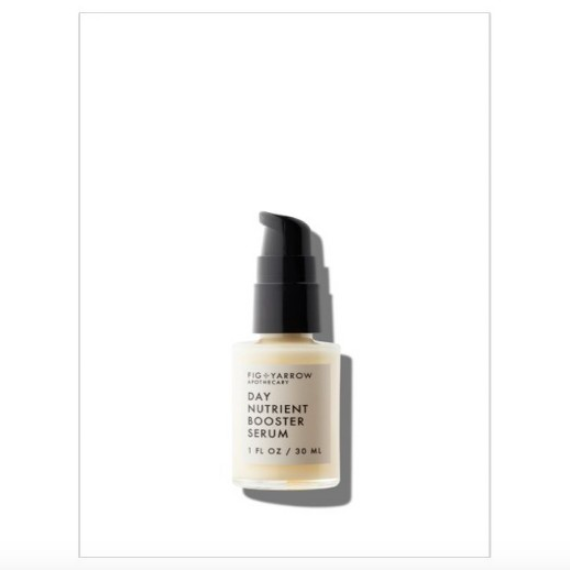 I’ve been really into this Day Nutrient Booster serum from Fig + Yarrow, my new fave all-natural beauty brand that Target carries. This stuff locks in all moisture and prevents skin from drying out after applying foundation and powder. My Russian Jewish family believes in ill-intentioned spirits and vibes. If anyone is feeling negative toward you and wish any ill will against you, those feelings are believed to be penetrating. But we prevent that with the Evil Eye, which wards off all evil. I even have a tattoo of the Hamsa (another symbol that essentially does the same thing — it has an Evil Eye in the center) on my back (back-stabbers, beware) and a porcelain one hanging by my door in my apartment. 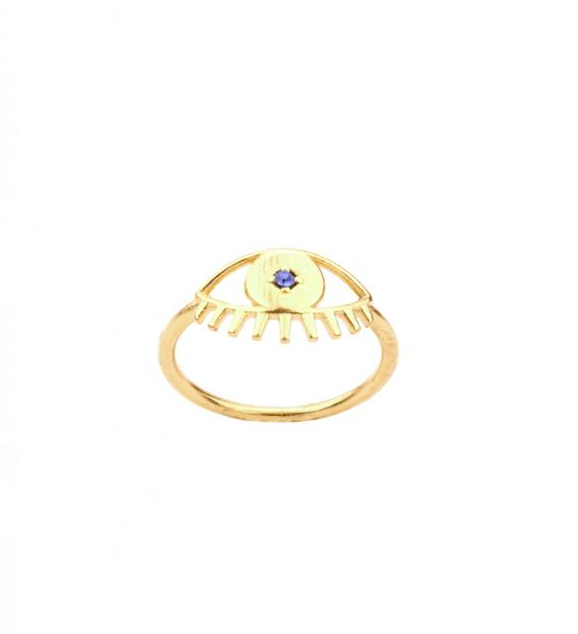 No need to permanently ink yourself though, if you’re feeling bad juju around you, get yourself some Evil Eye jewelry, like this ring from Katie Dean Jewelry. 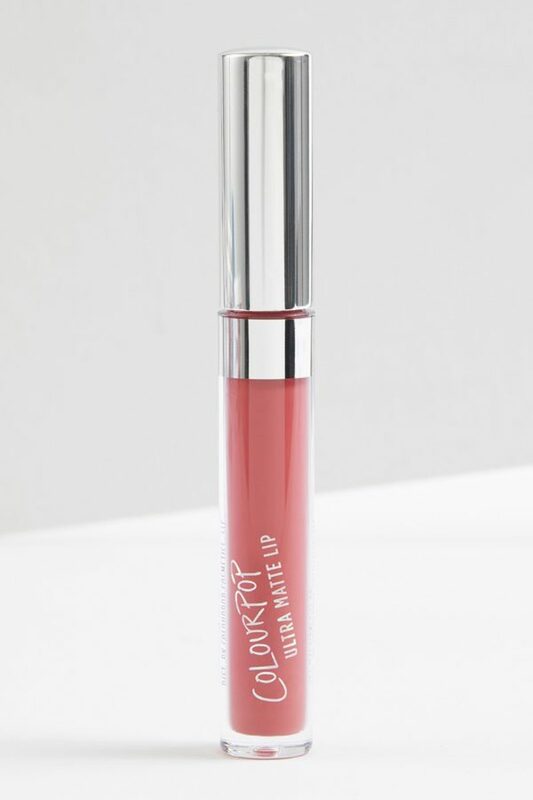 Beauty Editor Marie Lodi gave me this ColourPop lippie to try, and OMG I love it. The color goes on darker than it looks, FYI. So if it seems so bright, or too pink, it’s really not. I just asked Associate Editor Anna Gragert what it reminded her of, and she said “dark pomegranate,” which I agree with. If you cut into a pomegranate and looked down at your chopping board, that red-pink stain it leaves behind is this color. It’s gorgeous for fall-winter.